It’s been a busy week for Nathan Fillion as he attended the London TV Screenings hosted by eOne on Thursday, February 22nd 2018 to introduce and talk about The Rookie. 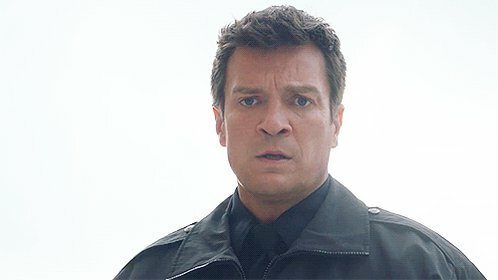 We took questions fans had for Nathan the past week from our site and social media platforms and with those questions organized onto a list, it was submitted to eOne. If you were one of the lucky ones chosen (at random I believe), then your question might have been answered! eOne has slowly been releasing photos, videos and updates from the event onto their social media platform to which we’ve organized together into a twitter moment. Missed an update? Check out our twitter moment to view all the newest photos, fan questions answered and more! A special thank you goes out to eOne for inviting Nathan to the event and their hard work in sharing all the lovely photos/videos with fans! Send in your questions for Nathan Fillion!